We just got a tip from Cherry Mobile that the much-awaited Lollipop Update of Cherry Mobile Flare X is now available. The OTA update will soon be available but we already got the link to the manual update, which you may simply download and upload to your phone. Be sure not to do this if you’re rooted. Unroot first. This is not any more supported by Cherry Mobile. Instructions are included in the RAR file. 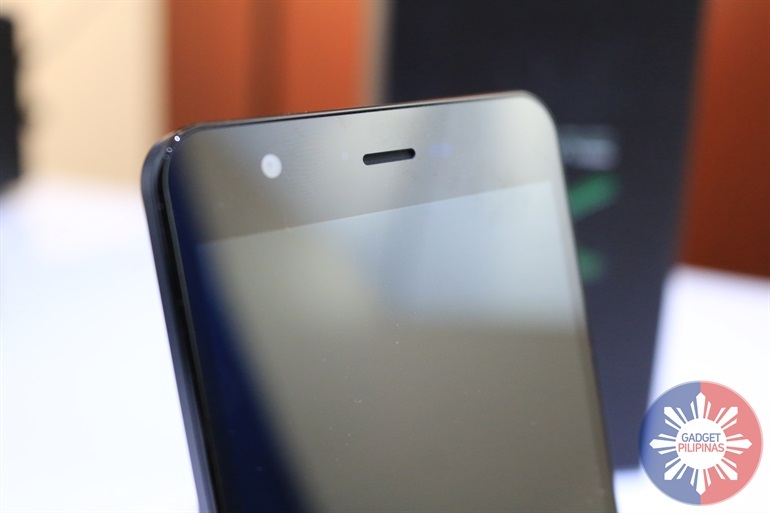 We reviewed the Flare X a couple of months ago. Here’s the link to our review if you haven’t read it. Download Flare X upgrade on this link or the link above. Please do not unzip the Update.zip. Just copy and past it to your SD card. Make sure that it is only the file copied into your SD card. When the Flare X is turned off, press power button + volume up for 5 seconds. Select boot mode will appear. To navigate, use volume up to scroll up to scroll, and volume down to select. Select recovery, and an Android with an exclamation point will appear. Press Volume down to scroll up and down and choose the apply update from SD card, and then press volume up. You can now see the word install/ SD card and just wait for a few minutes while the system is installing the update. 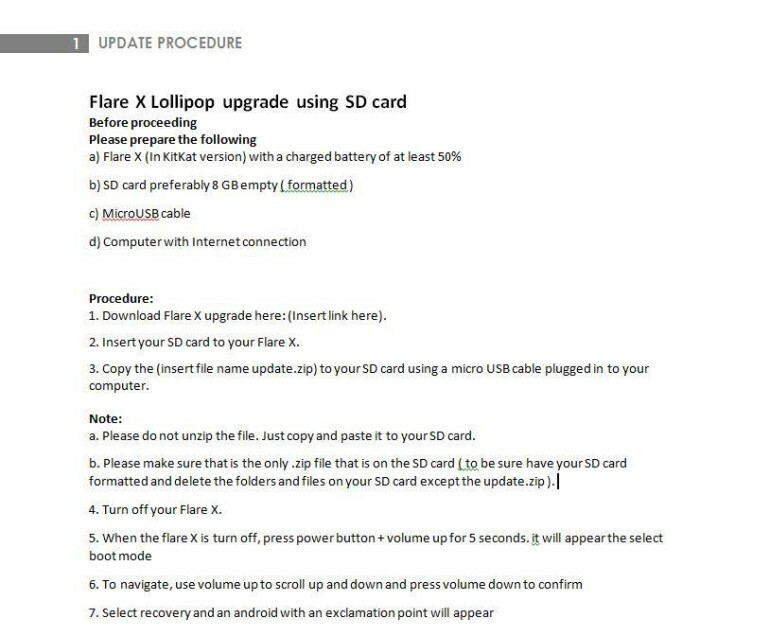 Now you can see the Android system recovery then choose the reboot system now by pressing volume up and once the system is done rebooting, you can now enjoy your Flare X Lollipop 5.1 version. You can also delete the update.zip after the process is done. Tell us your experience, guys. While we confirm that the links are provided by Cherry Mobile, we wish to remind everyone that we are not responsible for whatever issues you will encounter. Update at your own risk. *Update: Users are complaining that the 1st and 2nd link that Cherry Mobile provided are not working. We requested Cherry Mobile to check the integrity of their files. 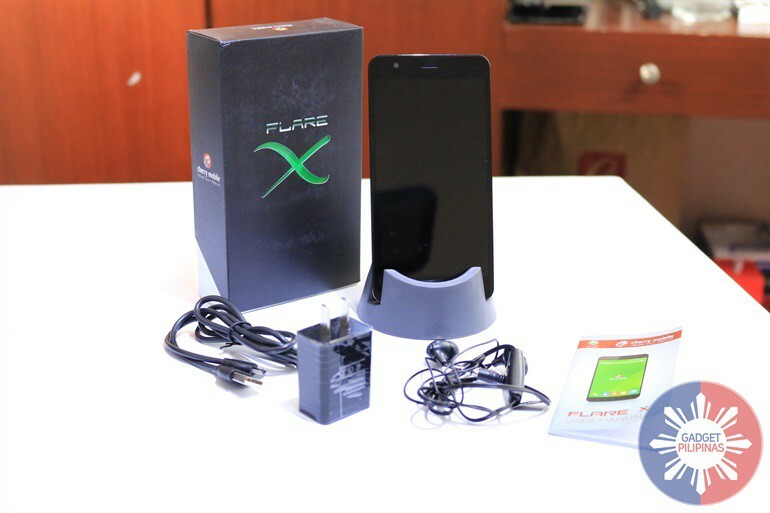 According to Cherry Mobile, their R&D tried it and successfully updated their Flare X devices. **Update 2: We requested Cherry Mobile to make a video guide for everyone’s perusal. Please wait for further update. ***Update 3: We also requested to hasten the release of OTA update.